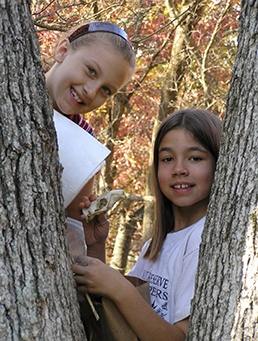 The Shaw Nature Reserve is excited to offer two youth ecology clubs! This ecology club has been running strong for 20 years and counting. The program builds knowledge of the natural world by exploring prairies, woodlands and aquatic communities. Participants help at Prairie Day and the Wildflower Market. This ecology club has been running strong for 10 years and counting. This fun and educational opportunity fosters appreciation for science and nature through games and activities that focus on the plants, animals and ecosystems of the Shaw Nature Reserve. Participants help at Prairie Day and the Wildflower Market. Applications are available in the summer. Habitat Helpers and H2Os meet once a month from September to May, plus help at Prairie Day and the Wildflower Market. If you have questions about Habitat Helpers or H2Os; please contact Karen Bryan at (314) 577-9523 or karen.bryan@mobot.org.